Spotted the most recent Colorado fire ignite this afternoon on Flagstaff mountain in Boulder today. Spent some time at JeffCo Airport (Rocky Mountain Metropolitan Airport) with my daughter watching the slurry bombers and sky cranes cycle through. I always have my E-PL3 camera with me so I grabbed that and shot what I could in-between the excitement of a 2 year old seeing airplanes up close for the first time. 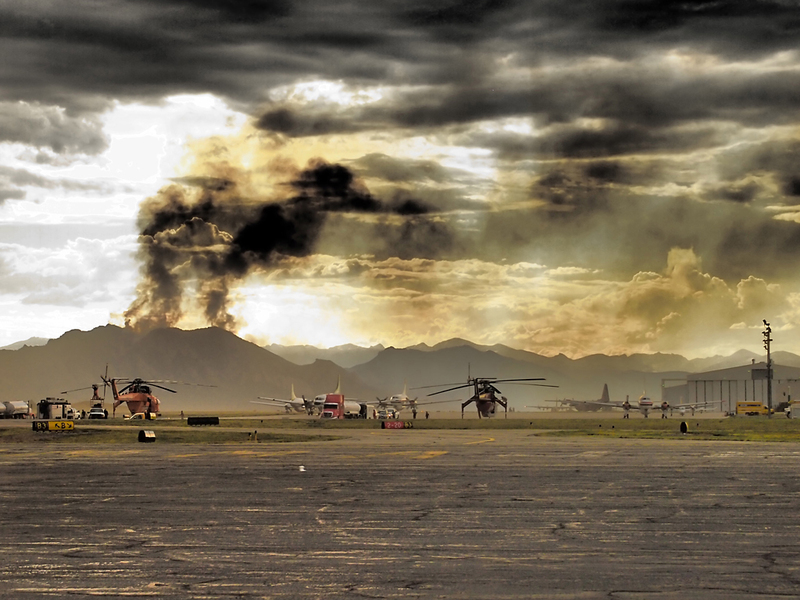 This first shot is a view of Flagstaff burning from the tarmac at JeffCo with sky cranes (type 1 helicopters) and other fire fighting equipment on the ground while a brief storm with high winds rolled through. 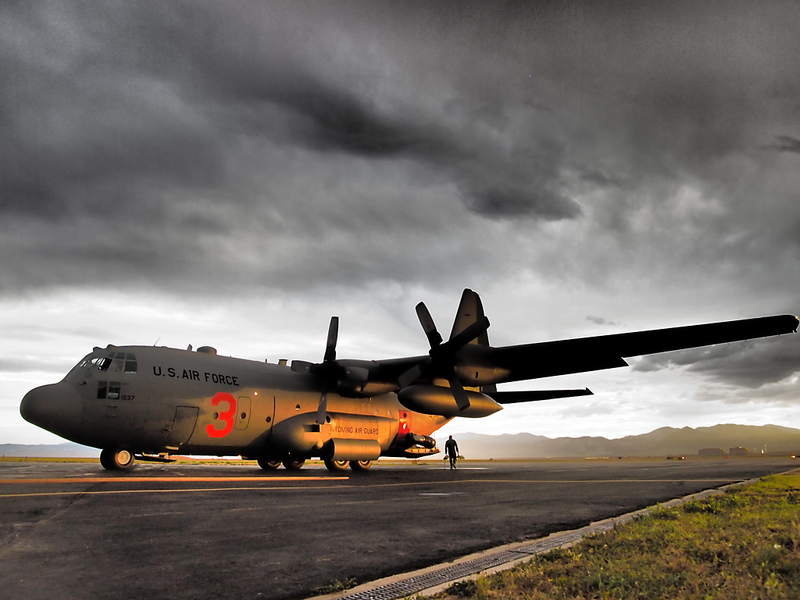 U.S. Air Force C-130 #3 from the Wyoming Air National Guard prep’d for take off after a short pause for weather. 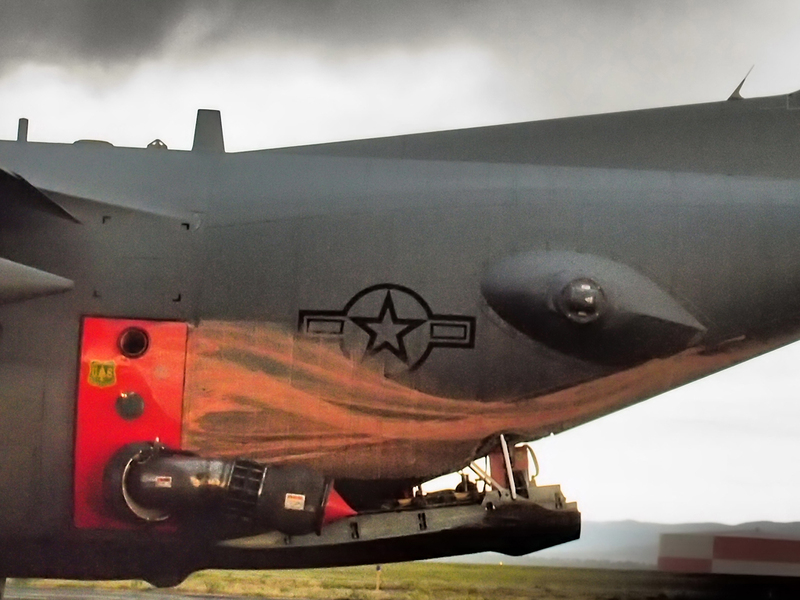 A close-up of the slurry hose configuration and residue on the aircraft from previous drops. Note the US Forest Service sticker on the side door. Watching the heroes of the Wyoming ANG takeoff for another run. Images can be viewed a bit larger when clicked. 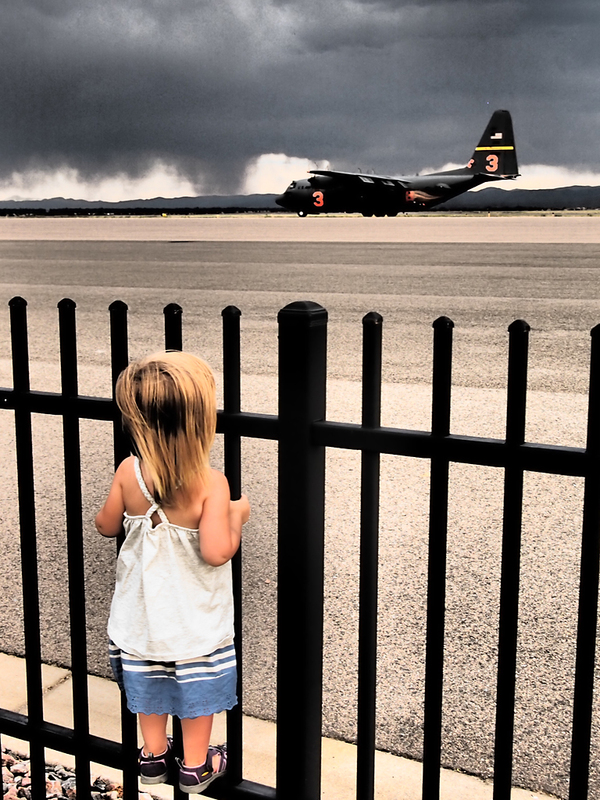 This entry was posted in Environment, Mechanical and tagged Air National Guard, ANG, Boulder, burning, C-130, CO, Colorado, fire, Flagstaff, forest fire, jeffco, Mountain, Rocky Mountain Metropolitan Airport, Slurry bombers, Wyoming on June 26, 2012 by Curtis.